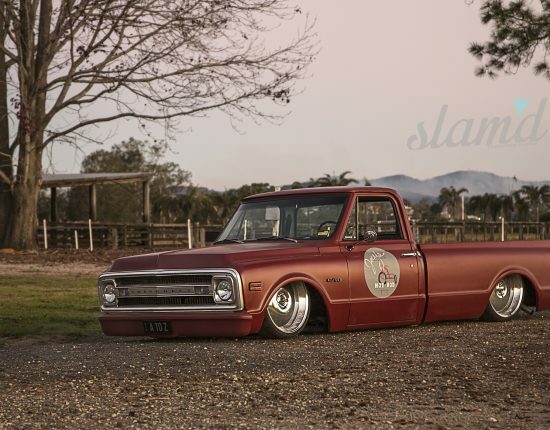 Here at Slam’d Mag we’re obviously all about that low-slung look and ground hugging appearance as our namesake gloriously states. 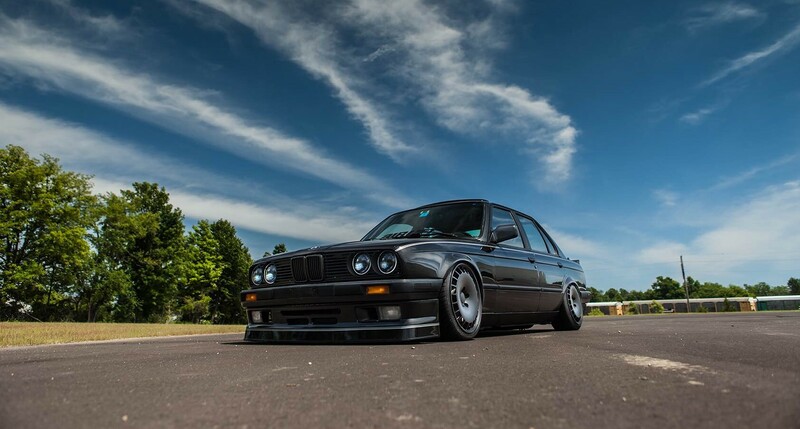 However, being “slammed” isn’t always about laying frame or body and being lower than everyone else on the block just for looks (although that’s precisely the reason that we got into lowered cars in the first place). We wanted to dive a bit deeper into other forms of low and the actual “functional” side of being low to help broaden our horizons a bit and take a closer look at some of the up and coming new technologies. 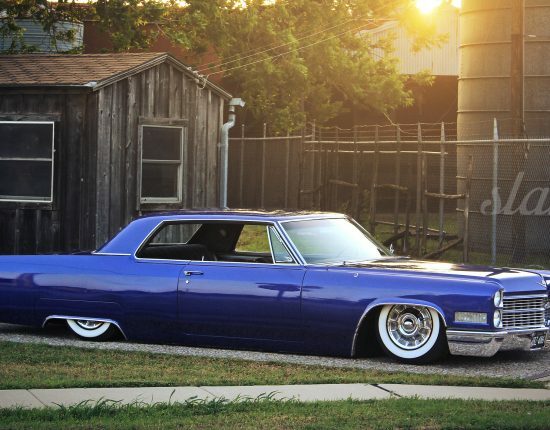 So who better to turn to then the leading air suspension company and authority of LOW – Air Lift Performance. Air Lift has been involved in suspension engineering and in particular, air suspension design and manufacturing for the better part of almost seven decades. Established in 1949, Air Lift Company has been a leading source of high quality air suspension components, leveling, and performance suspension applications longer than anyone else in the game. So we turned to the suspension experts of the – Drive It, Show It, Track It – mantra to help shed some light on The Art of Low for our very diverse audience of custom car and truck enthusiasts across the globe, and we take a first look at some of the history, performance genres, and a deeper dive into everything that led Air Lift to develop the most innovative air suspension management system on the market today – introducing, the all new Air Lift Performance 3H/3P. 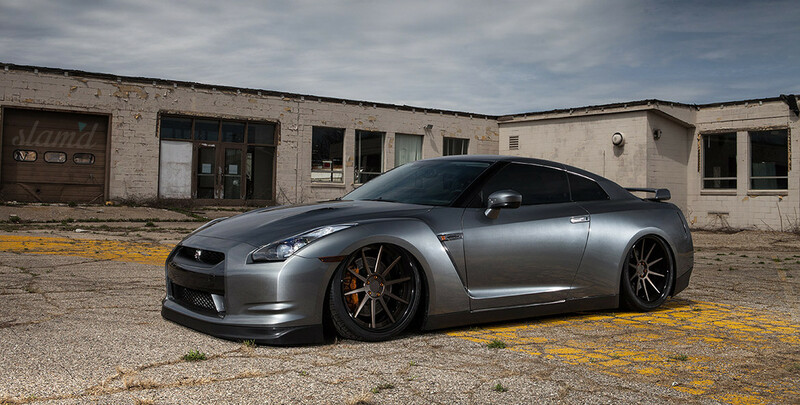 With more then three years of development, the engineering team at Air Lift Performance wanted to ensure the ultimate user experience for every level of air suspension enthusiast. This meant ease of install and use, and rigorous testing to create an all-in-one unit that would set new standards in the “controllability” for your air suspension and the performance ride that some of the top installers are after with each and every build. To do this ALP went back to the drawing board and started from scratch with a blank slate. This meant that there would be zero preconceived notions as what air management “should be” and allowed the design team to focus on developing a unique and new platform that would combine the very best attributes of both height and pressure management and control. This allowed the new system to have algorithms for both everyday driving and height presets, but also fine-tuned control with advanced system integrations. The first of its type to offer Bluetooth™ communication (which will be quite useful for updates down the line) every kit also includes a free downloadable app that gives the user full control from their mobile device. 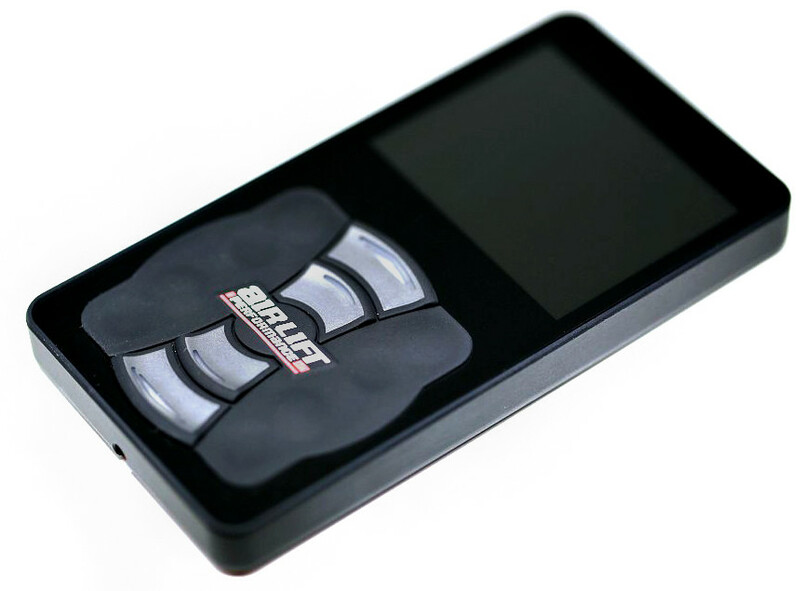 A full color screen displays both ride height indicators and pressure monitoring – among this and many other features (listed below), we were certainly anxious to get our hands on a system. Lucky for us, we were able to install and test out a “beta” 3H setup and put it to the test first hand. 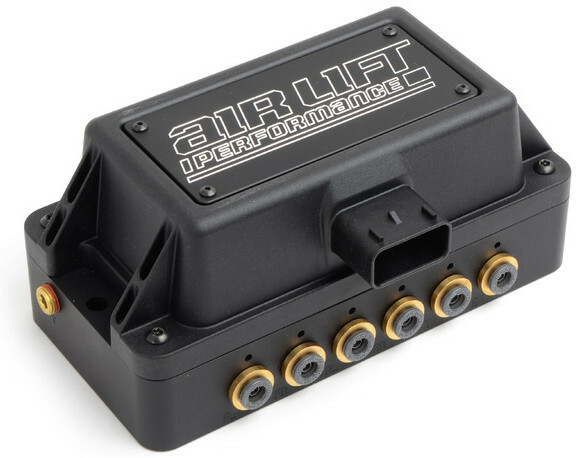 A full color Air Lift Performance 3 wired controller with black anodized aluminum casing and soft touch rubber keypad makes for a quality user interface and easy user experience. The keypad can be rotated for horizontal operation and the screen rotates for this orientation as well, making for a cool customizable option when mounted horizontally or flush mounted into a dash or hideaway compartment. The controller offers five custom programmable presets and quickly adjusts to and maintains height and/or pressure presets with the push of a button. The free mobile app is currently available for iOS compatible devices, which requires no additional components or cost as it communicates directly with the manifold. The Android app and other device support will be available soon. A “Show Mode” allows you to turn your car off and still control your system via the controller or mobile app. The robust manifold takes up less space than multiple components for a super clean and easy install, and the “brains” of the system has Bluetooth™ technology built in for full mobile support. The machined manifold is elegant, and the customizable top offers unlimited possibilities for those that will want to add their personal touch to installs down the line. All of these key components being integrated into an “all-in-one” style system requires less drilling, wiring, and space ultimately allowing for a cleaner and more user friendly install. The ability to control the system with height sensors, including a unique sensor arm that is designed to reduce tension (and the frustration of broken sensor arms) is torture tested over 3,000,000 cycles for maximum performance. Anti-Cross Loading and Axle Equalization with both pressure and height sensing technology combined, the system can achieve the proper height without radical differences in pressure. This is important on the performance side of things for changes in load or driving conditions such as cornering. One of the greatest parts of the equation that we’ve found when dealing with Air Lift Performance is their amazing support staff. Backed by a dedicated customer service and tech support team who are actually passionate car people that love what we do, they truly “get it” and are always available to help setup the perfect system for your particular use and/or needs. The new 3H + 3P management system will offer a Limited Lifetime Warranty; warranted to the original retail purchaser against manufacturing defects for the life of the product. This, along with the fact that they fully support an amazing dealer network who are also just as passionate about taking air suspension to the next level, definitely wins us over when it comes to choosing our next air management for our upcoming project builds. Air suspensions have been around since the ’40s and despite a long history in racing and performance, the “average” person still only think of airbags on semi-trucks and or when they see ’80s Lincolns with the rear dragging on the ground because the OE ‘bags are shot. However, as you can see, today’s air suspension technology is quite impressive and has come a long way since. 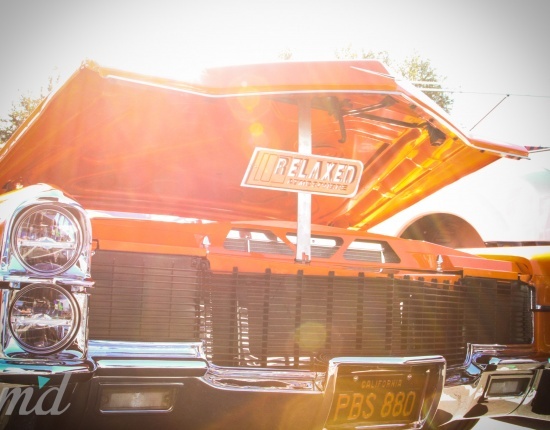 Reliable and sophisticated; many well known customizers install air suspension on high-end cars, top notch hot rod builds, vintage muscle cars, and even pro-touring style and late-model setups because of the combination of performance handling and getting the slammed look when parked. Even OEMs are using advanced air suspension again on high-end performance cars like Audi with their RS series of cars. Aftermarket manufacturers like Air Lift Performance have developed high-tech systems that equalize ride height with multiple presets that you can fine tune for daily driving, performance, and cruising low. Air suspension, when properly installed with quality components, is just as safe as any OE setup. And just in the past decades the quality components and technology offer comfort, convenience, and performance – all rolled into one. If you want to lay low AND drive home or to the track comfortably then there’s truly nothing like a well installed air suspension setup. Of course, the main reason we love air suspension here at Slam’d is because of the extreme lows that it allows us to achieve with our builds. There’s definitely nothing like laying your car or truck flat to the ground at a show and just watching those jaws drop in equal ratio as your ‘bags deflate. 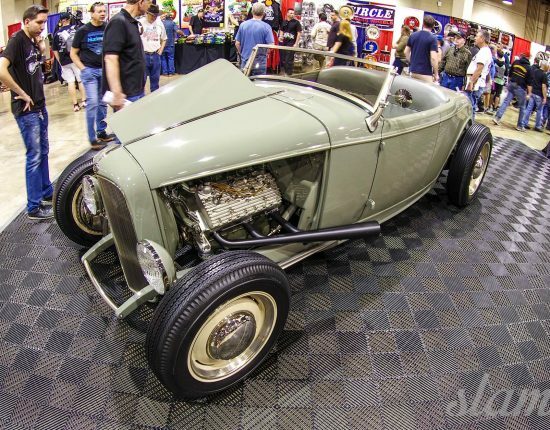 It never gets old, and tucking a beautiful wheel deep into the fenders of a well-crafted build is exactly what our staff and photographers continually scour the globe to bring our loyal readers month after month. In racing and performance applications you generally want your car tuned as low as possible without bouncing and scraping off the ground (which will scrub time). Being as low as possible influences almost every aspect of getting around a track as fast as possible in almost all genres of racing. 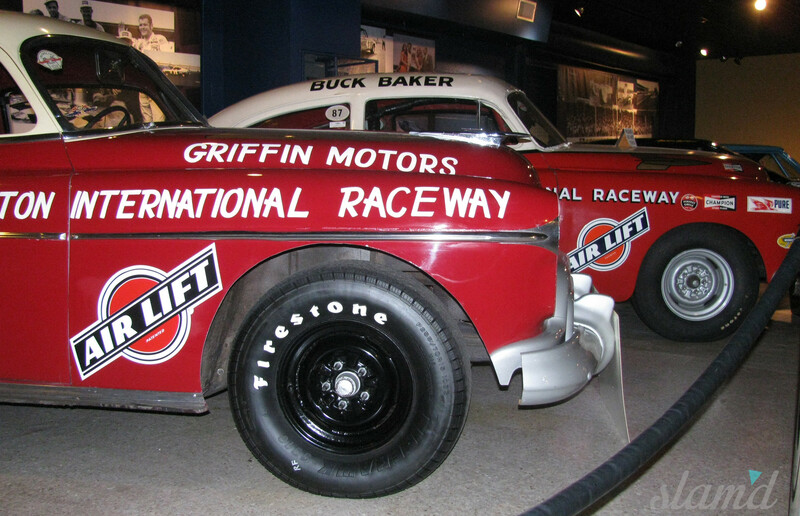 A lowered stance and engineered suspension effects cornering, braking, and accelerating as having a low center of gravity will greatly lessen the weight transfer of the chassis of the car. 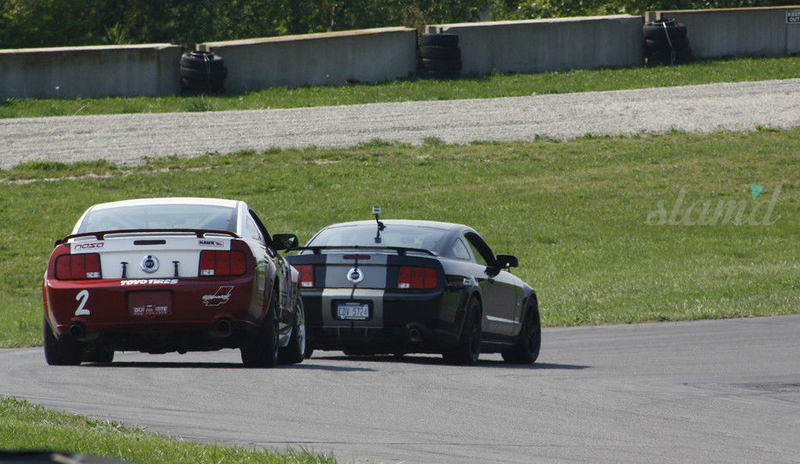 Another huge benefit of a low stance is improved aerodynamics. If you have a splitter, you need as much air over the top of the car as possible. The more air over the top of the splitter, the more downforce is generated, which in turn means the more grip you have to the track. The closer to the ground, the more effective the ground effects or diffuser on both the front and the back of the car will be. Some cars put the wings low, helping the air coming out of the tunnels. Pain and simple – airflow and stance wins races. A fine-tuned air suspension setup can allow you to dial in “spring-rates” at your optimum “race-height” and save these settings with a touch of a button. We’ll bring you inside the Air Lift facility in Lansing, Michigan with a full shop tour showing an inside look at their new expansion. With massive amounts of product manufactured in-house daily, it’s a super neat place to visit and was a nice surprise to see all of the history first hand. It was also as quite an educational trip to get a sneak peek at the brand new system and watch it go from prototyping to beta, to full production. We will have a full install on new 3H + 3P along with an exclusive Slam’d giveaway for our readers to follow so stay tuned!